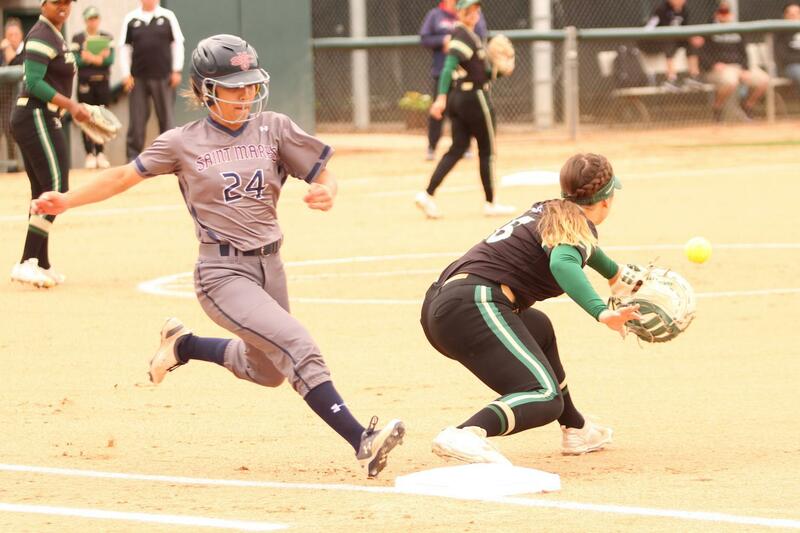 Sacramento State sophomore first baseman Mo Spieth stretches for the ball as Saint Mary’s College freshman outfielder Kimiko Zapanta reaches safely at first base at Shea Stadium on Wednesday, April 18, 2018. 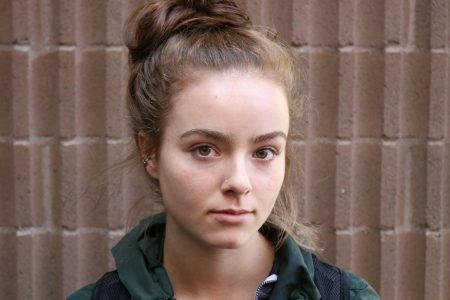 The Hornets lost to the Gaels 1-0. 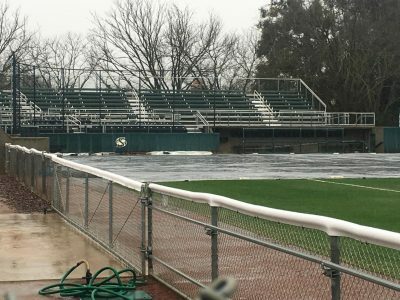 The Sacramento State softball team was swept in its doubleheader against Saint Mary’s College on Wednesday at Shea Stadium. 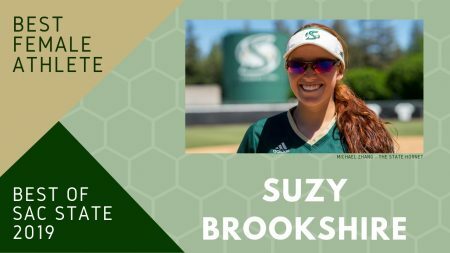 The Hornets (22-15, 7-5 Big Sky Conference) — which fell to the Gaels (13-27, 1-5 West Coast Conference) 3-2 during the Lobo Classic Tournament earlier this season on March 10 — lost game one of the doubleheader 1-0 after sophomore second baseman Nikki Alexander hit a go-ahead RBI double with two outs in the seventh inning. 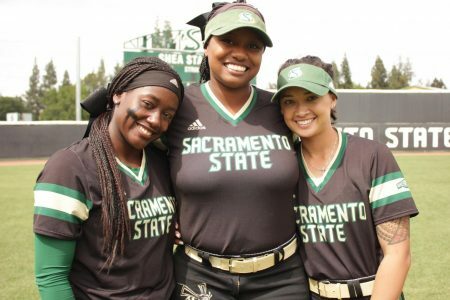 Sac State senior pitcher Celina Matthias threw a complete game, giving up one run on five hits and striking out eight batters. The Hornets, which combined for five hits, had their chances throughout game one at the end to tie and win. 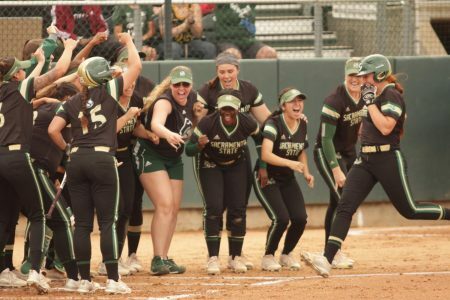 Following a leadoff double in the sixth inning by junior outfielder Nene Alas, Sac State left Alas at third base following a line-drive double play to the pitcher by sophomore first baseman Mo Spieth. This led to sophomore Suzy Brookshire to be forced out at first base after she failed to tag to end the inning. Junior outfielder Sydnee Strong went 2-for-3, while Alas and sophomore catchers Kaitlyn Rubio and Jessica Scott each had a hit. 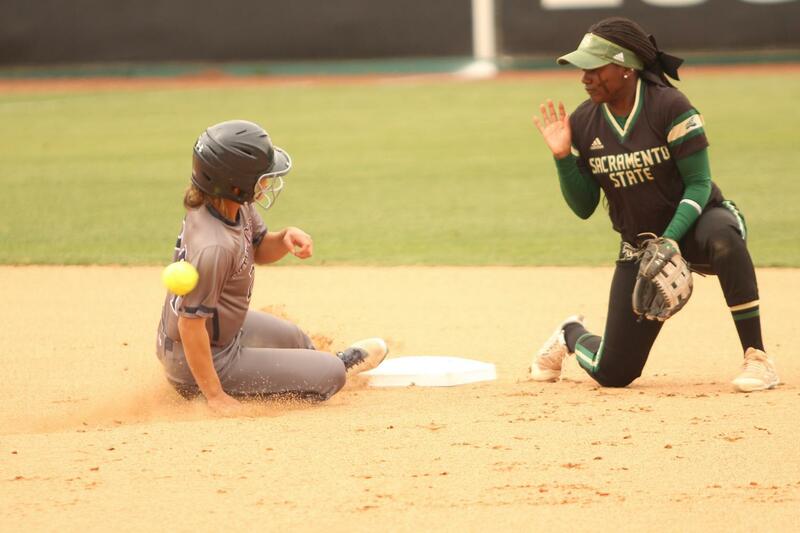 Sacramento State senior second baseman Zamari Hinton prepares to catch the ball as Saint Mary’s College freshman outfielder Kimiko Zapanta slides safely into second base on a steal attempt at Shea Stadium on Wednesday, April 18, 2018. The Hornets lost to the Gaels 1-0. 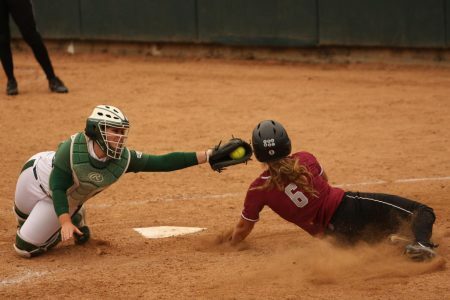 Sac State lost game two 2-0 in extra (eight) innings after Gaels senior shortstop Hailey Sparacino hit a go-ahead two RBI single with one out in the eighth inning. 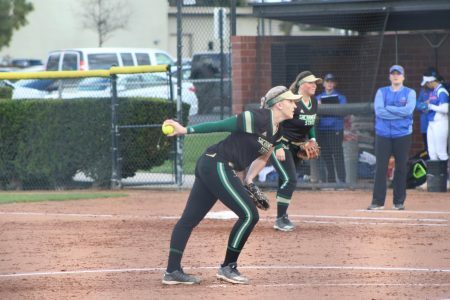 Junior pitcher Savanna Corr threw seven and a third innings, giving up two runs on six hits and striking out three batters. Matthias, who came in for Corr in relief, threw two thirds of an inning and struck out one batter. Alas went 3-for-3, while senior second baseman Zamari Hinton went 2-for-3 for the Hornets which have now been shutout for 23 straight innings. 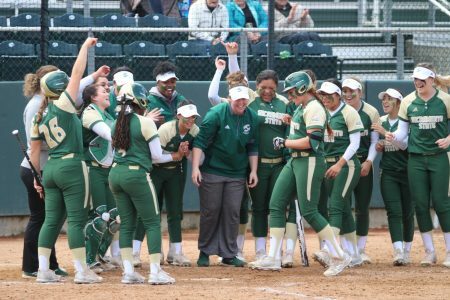 Following a 9-0 loss to Idaho State on Saturday, Sac State has been shutout in three consecutive games for the first time since 2002 (May 4-5) against UC Riverside. 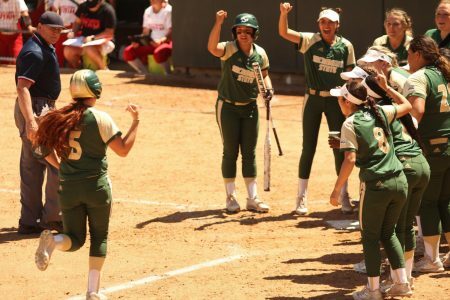 Sac State coach Lori Perez said the past few games have been frustrating for her and the team. 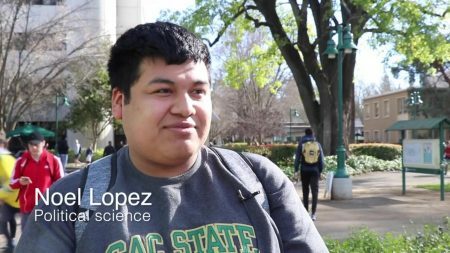 “The season goes and there are highs and lows,” Perez said. 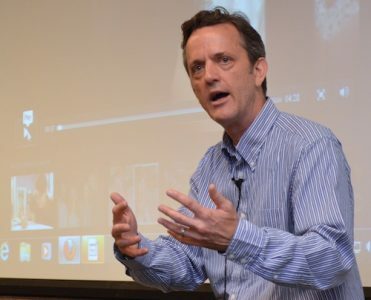 “Right now, we’re at a bit of a low because we’re off a little bit offensively which is a strength for ours.